In 2006, we began studying solar panel mounting systems because we were not pleased with the designs and costs being provided by racking manufacturers. We felt the racking systems were being designed by engineers behind a desk. What was being drawn on paper did not translate into a clean and simple installation in the field. The systems consisted of too many parts to assemble, the modules had to be handled too much, and the costs were inflated. We knew the products we developed needed to be installed quickly, easily, consist of very few parts, have little to no measuring reducing human error, and be low in cost. We developed and prototyped multiple designs from 2006 to 2008. From 2009 to the present, we determined our designs would be a much needed asset to installations. 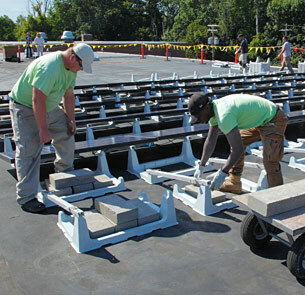 We worked with several installers and deployed our racking throughout various projects totaling over 10 MW. We now have more than 250MW deployed in the field. Throughout that time period we modified the systems to reduce human error, tested and tried different material combinations, created a tool-less design, and reduced costs. We designed a system that we felt confident in providing to the solar industry. The time has come to introduce ourselves as DynoRaxx. Our engineers and support staff are as reliable as the DynoRaxx system itself. 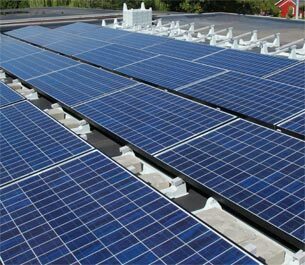 We provide an unwavering commitment to deliver the best flat-roof and pitched-roof PV racking systems available. With a philosophy of superior service to our customers to match the superior quality of our products, our company continues to grow and innovate.